Duane Musfelt is a partner in the San Francisco office of Lewis Brisbois and serves as co-chair of our Professional Liability Practice. Mr. Musfelt has more than 40 years experience in several areas of the law including professional liability, directors and officers coverage and litigation, commercial litigation, and insurance law (coverage and bad faith defense). Mr. Musfelt’s extensive litigation experience in professional malpractice matters includes defending attorneys, accountants, psychologists, nurses, real estate agents, insurance agents, and other professionals. His commercial litigation experience encompasses representation of foreign and domestic corporations in breach of contract, misappropriation of trade secrets, unfair competition, consumer class actions, and related business liability claims. His insurance coverage expertise includes advising insurers on coverage matters, presenting insurer’s affirmative actions for contractual interpretation, and defending insurers in coverage/bad faith litigation. Mr. Musfelt has served as coverage/monitoring counsel on behalf of numerous primary and excess insurers in personal injury cases, property damage cases, professional liability claims, first party life insurance and disability insurance claims, and a variety of other cases. Mr. Musfelt has defended property/casualty cases ranging from typical homeowner property damage cases to brain damage bodily injury claims. He has defended domestic and foreign manufacturers in products liability cases. He has also represented Homeowners Associations and individual HOA board members in numerous lawsuits involving a variety of claims ranging from alleged discriminatory enforcement of CC&Rs to purported negligent and intention breaches of duties in violation of California’s Davis-Stirling Act. 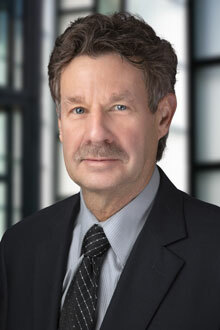 The rankings Mr. Musfelt has achieved throughout his career include an AV Preeminent rating by Martindale-Hubbell – a distinction he has held for more than 30 years – and selection to “Super Lawyers” in the practice area of Professional Liability Defense for many years.